Smart Agriculture is a field which is gaining interest to solve major challenges that we face, and SOURIAU-SUNBANK offers a wide range of comprehensive interconnect solutions for various applications within this area. The push to continuously increase production and productivity has driven the use of grow lights up, and especially smart grow lights. 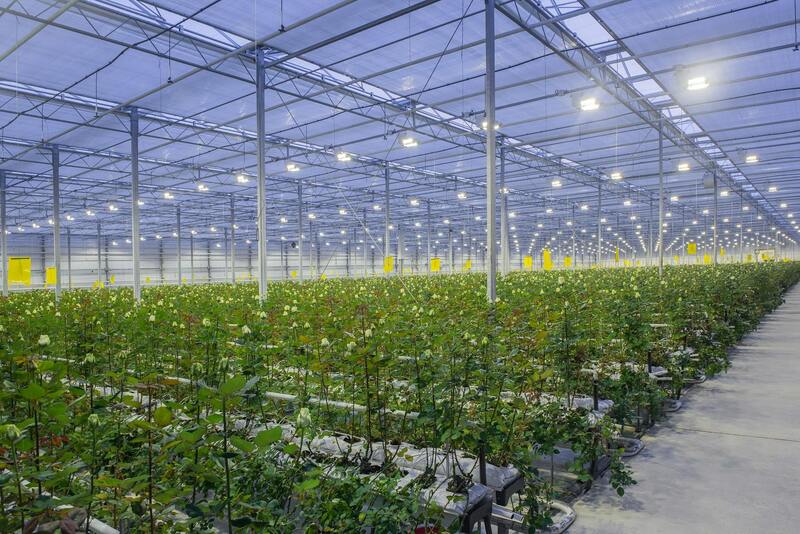 With new technologies such as horticulture LED bulbs that can deliver varying spectra depending on the growth stage of the plant, and using less power, agricultural lighting has seen a rise in activity and shown encouraging results in terms of sustainable cultivation. The UTS series is perfectly suitable for this type of environment, as is the UTL series which offers an easy handling and mating mechanism. New outdoor electronic developments can now offer farmers solutions consisting of sensors spread throughout the fields that can detect and report on the quality of the soil. This data can be fed into an intelligent irrigation system, which can carefully calibrate the quantity of water needed and irrigate the fields according to their needs. Irrigation systems will expose connectors and harnesses to constant water spray and possibly even chemicals if fertilizers and pesticides are distributed through it. The system will also be exposed to sunlight, varying outdoor temperatures and scratching and abrasion. Based on these factors, the UTS series is an ideal option. SOURIAU-SUNBANK also offers the micro38999 series which has been specifically designed to be integrated into drones. Its compact size and low mass make it ideal when space and weight constraints are high, while coupling mechanism is derived from the MIL-DTL-38999 military standard and can withstand high vibration and shock without any impact on performance. As intelligent machinery for agriculture develops, the technical requirements may evolve. These may be vehicles which have advanced assistance systems such as weed detection, and which require a high speed data connection to transfer HD video to the control center. For these types of applications it will be key to not only enable high speed data transfer but also signal protection. Our metal-shell connectors provide excellent signal shielding for this purpose, and will ensure that your signal is uninterrupted. The JBX series offers 360° signal protection, while the UTO series also adds robustness. The UTS series in its threaded version is also a suitable and cost-effective option for control boxes. We also offer overmolded cable assemblies for all our connectors to provide strain relief.